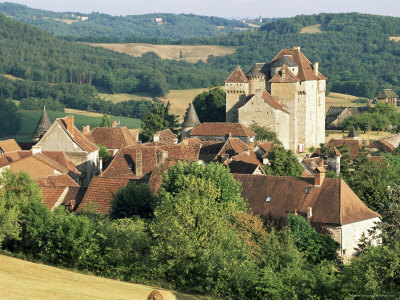 Limousin, a beautiful, hilly region of France positioned in the south-central part of the country, is acclaimed and widely honored for its beef farming. Vast herds of Limousin cattle (chestnut red in color) are a common sight throughout the region. Limoges, the capital city, remains an industrial center renown for its medieval enamels, porcelains, and for locally produced oak barrels used in the production of Cognac. There are a handful of important rivers in the Limousin, including the Cher, Creuse, Dordogne and Vienne, and local and visiting anglers rave about the high-quality river fishing in the region.